Experts in North America have long warned of overly exposing children to screens. In fact the current advice from the Canadian Pediatric Society recommendation is that children should not use screens until they are at least 2 years old. 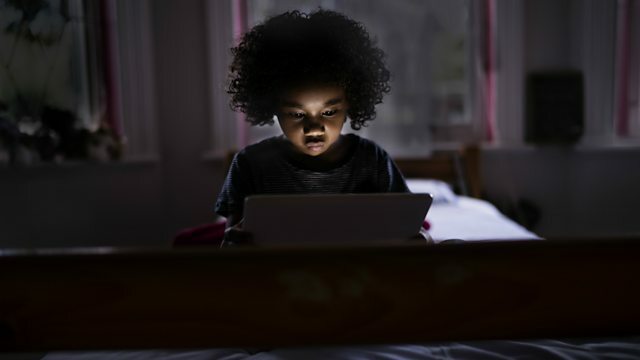 Recently, a large Canadian study has deducted that toddlers that spend a lot of time on screens may experience a delay in developmental skills, including language. 2441 mothers and children from ages 24-36 months were involved in this study.Screen time in the study included: Tv, Films, Games, Computers, Phones, Tablets, etc.. The average time for a two year old clocked up to an alarming 17 hours a week! think about that statistic for a second! Whats more terrifying is this average figure increased to about 25 hours by age three but then showed a dramatic drop to 11 hours a week at five, which is when school starts. On the other side of the pond, this study was noticed as well. In the UK , The Royal College of Pediatrics and Child Health mentioned that this study showed a “direct toxic effect”. To me its a no brainer. The more time a child spends staring at a screen, the less time they will have to interact with actual humans (or plants!). Learning and paying attention to language, exploring the environment and their surroundings, these to me are much more nourishing activities to a child’s mind. Having said that its difficult to have a comprehensive single figure to use as a benchmark as to when its appropriate for a child to begin using screens. Frequency is also an individual factor that can only be addressed on a case by case basis. We are all so unique and develop differently. A slow gradual introduction whiles keeping some form of monitoring over how much time is spent is probably the most ideal method, but perhaps some of us don’t have that option for one reason or another.